Facebook is an important part of our digital social life. That makes it important from a business standpoint too. If your business receives significant traffic from this social network then let me show how you can increase your reach even when Facebook changes its algorithms. Most businesses start and end at “Like our Facebook page” but amassing a large number of fans does not really guarantee engagement or sales. Facebook has made it increasingly difficult for brands to reach their audience. So how do we beat the algorithm? After a person likes your page there is an option which says “Get notifications” in the drop down menu. 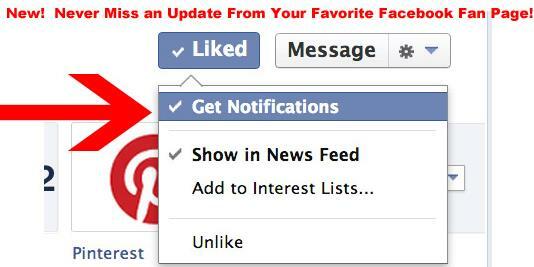 Clicking that option will ensure that the person receives a notification every time you post on your business page. You could even make this your cover pic or design a better looking one. Timing is important in business and so it is when it comes to posting updates on Facebook. Knowing when the majority of your fans are active and engaged is an important aspect of gaining engagement. Fortunately, you don’t have to subscribe to paid tools to get this information. 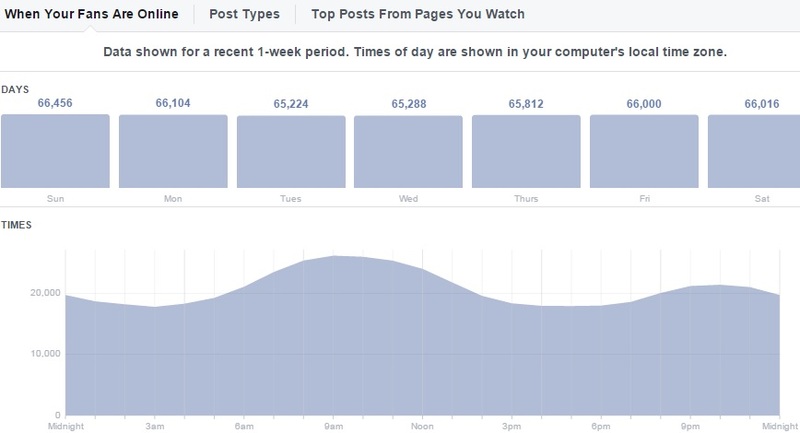 Facebook provides this information to you when you dig into the insights dashboard. This will let you know when your fans are online and hence be able to post at those optimum times. Facebook came out with a feature where you can now select pages in your category / market and gain insights on the percentage of growth they experienced, how many posts they made and the reach they had. This information is enough for you to compare your efforts and to set a benchmark for your Facebook marketing efforts. Here is an example of some non-business pages to watch. 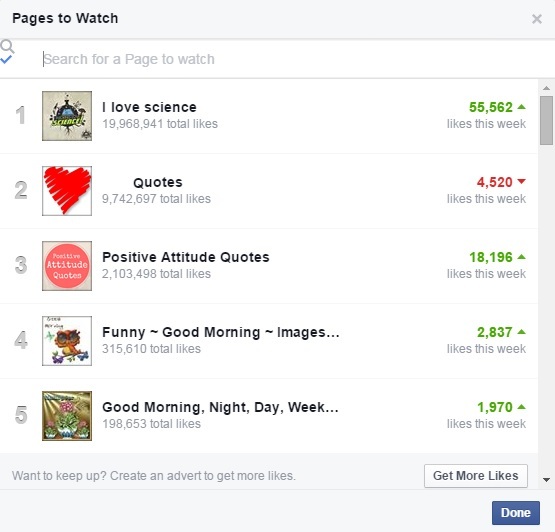 On the same page you also get to see your competitor’s best posts. These are pages which have similar kind of Facebook demographics as yours and their fans like similar kind of products/services. So you can be confident that if you post a similar type of post that your competitor did and gained a lot of engagement, you can get similar results too. Take that information and replicate it on your own page and see your engagement soar higher. This is another feature that Facebook recently came out with. A call to action button lets you direct your fans or anyone who comes to your page to your website or any other web address that you intend to send them to. Here are the pre-written options Facebook provides that you need to choose from: 1. Sign up 2. Buy now 3. Contact Us 4. Use App 5. Play Game 6. Show Now 7. Watch Video. Besides, it also gives you an idea of how many people actually clicked the button in the admin dashboard as shown in the image below. Next page: Facebook has made a $227 Billion impact on the world.